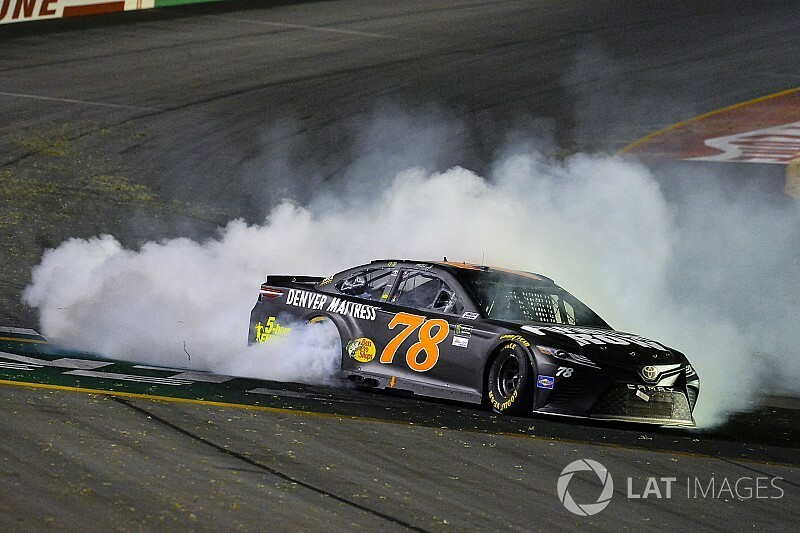 Martin Truex Jr. swept all three segments in the Quaker State 400 for his 10th career win on Saturday night. Truex led 152 of 274 laps en route to his first win at Kentucky Speedway. 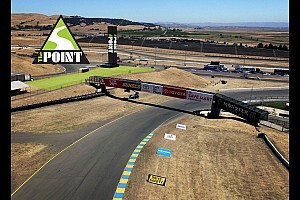 After winning the first two stages, Truex had sailed off 15-second-plus lead over Kyle Larson coming to the white flag. 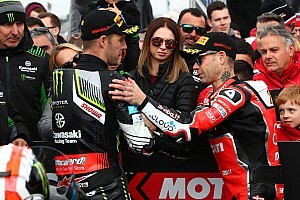 But the victory celebration was delayed when the eight caution sent the race into over-time. With his third win and 13 stage wins, Truex has collected 28 playoff points, 12 more than Jimmie Johnson. Larson pushed the No. 78 car to the lead entering Turn 1. Truex held a 0.659-second lead after the first lap as a multi-car wreck erupted behind him in Turn 4. NASCAR called the race and awarded Truex the win. Larson, started from the back of the field and gained 38 spots to finish second. Chase Elliott, Denny Hamlin, Kyle Larson, Erik Jones, Jamie McMurray, Joey Logano, Kevin Harvick and Ryan Blaney rounded out the top 10. 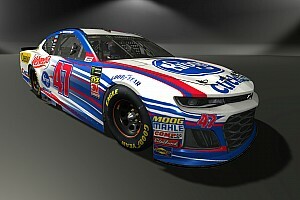 Darrell “Bubba” Wallace Jr. scored a career-high 11th. 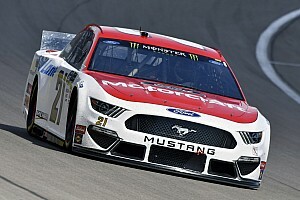 The remaining Team Penske Fords of Joey Logano and Ryan Blaney elected not to pit between segments and restarted on the front row for the final stage. Denny Hamlin, Ricky Stenhouse Jr., Paul Menard and Daniel Suarez, who took two tires, lined up behind. Truex, the first car on four tires, restarted seventh followed by Kyle Busch, Bubba Wallace, Erik Jones, Kevin Harvick and Matt Kenseth on Lap 167. Suarez moved up to fourth in two laps, while Truex pulled up to sixth. Harvick, on four tires advanced to eighth over the first three laps. By Lap 170, Truex passed Blaney then took the lead from Logano. Blaney remained third followed by Hamlin, Suarez, Harvick, Kyle Busch and Stenhouse. On Lap 182, Harvick moved to third. With 80 laps to go, Truex held a 6.50-second lead over Logano with Harvick closing in on second-place. Blaney held on to fourth, followed by Larson, Suarez, Hamlin, Kyle Busch, Chase Elliott and Kurt Busch. Harvick caught Logano on Lap 192 but couldn’t complete the pass. On Lap 193, Larson moved by Blaney for fourth-place. On Lap 200, Truex lead was over 10 seconds. Logano, Harvick, Larson and Kyle Busch rounded out the top 10. Logano and Blaney, who had not pitted since Lap 138, came in on Laps 206 and 207, respectively. Blaney, who was running 23rd, hit the drain coming to the line on Lap 215. On Lap 220, the leaders started pitting with Elliott coming to pit road. Truex pitted from the lead on Lap 224 along with Kurt Busch, Larson, Harvick and Wallace. After the leaders cycled out from pit stops on Lap 230, Truex had an 11-second lead over Kyle Busch. Larson, Logano, Elliott, Blaney, Harvick, Hamlin, Jones and Suarez rounded out the top 10. Larson passed Busch for second on Lap 244. On Lap 250, Truex lapped Kenseth to leave 10 cars on the lead lap. Four laps later, Ryan Sieg spun trying to get onto pit road but corrected and the race remained green with nine cars on the lead lap. On Lap 263, Kurt Busch radioed that the No. 41 was blowing up. The engine let go on Lap 265 with Truex holding a 16.737-second lead over Larson and just eight cars on the lead lap. Kyle Busch was third followed by Elliott, Harvick Jones, Hamlin and McMurray. Truex stayed out on the track. Kyle Busch and Jones took right-side tires to line up second and third. Larson was the first car on four tires followed by Elliott, McMurray and Logano as the race went into overtime. Larson pushed Truex to the lead into Turn 1. Elliott came down on the apron for third behind Larson. As the cars came through Turn 4, Wallace and Kenseth got together and Suarez, Austin Dillon and David Ragan were collected in the melee. Larson retained the points lead by one over Truex. “We’ve been second fast, but (Truex) is in a whole different league right now,” he said after the race. Keselowski after wreck: "It's time for this sport to design a new car"